Following on from a very successful golf day run by The Alton Lions at Test Valley Golf Club on the 19th August. 20 teams enjoyed a great days golf despite very heavy rain. The winning team were ‘Les Miserables’ winning with 122 points just ahead of ‘4 Fore Tee’ with 115. The highest individual scores went to Nick Kellie with 43 points and (couldn’t believe it) Theresa Ford with 39. Other results included Joe Withers and Fran Windsor with the longest drives, Mick Pye and Di Bancroft nearest the pin and Jack Frost and Jill Stubbs nearest the line. 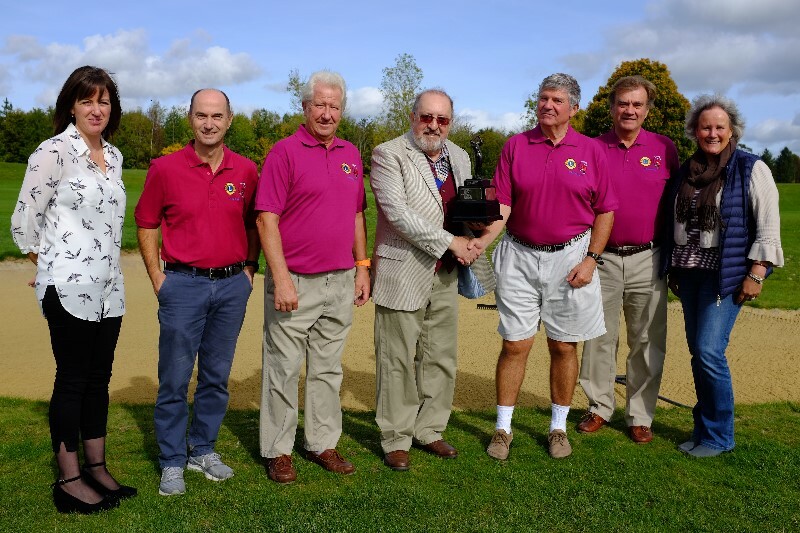 Lions president Michael Gwynne presented a trophy to the winning team Les Miserables who are Les Bancroft, Nick Kellie, Richard Oakley and Trevor Gill. 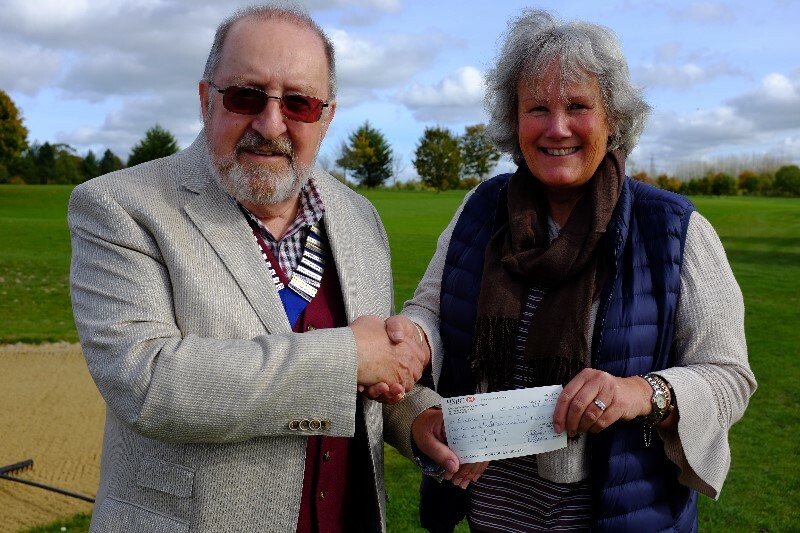 The event raised £2,200 and a cheque was handed over to Nikki Radcliffe CEO for Cardiac Rehab in Alton who the Alton Lions are very pleased to support. The Alton Lions are very grateful to all the participants and hope to see them all back again next year for the 13th year.